A honed and filled stone wall tiles supplied in 8 travertine sizes. * Good quality travertine tile. 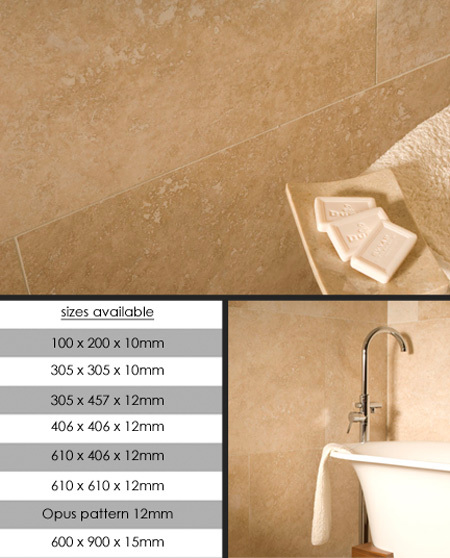 * Supplied in 8 stone tiles sizes.